Ombre is everywhere in fashion, hair, and nails. 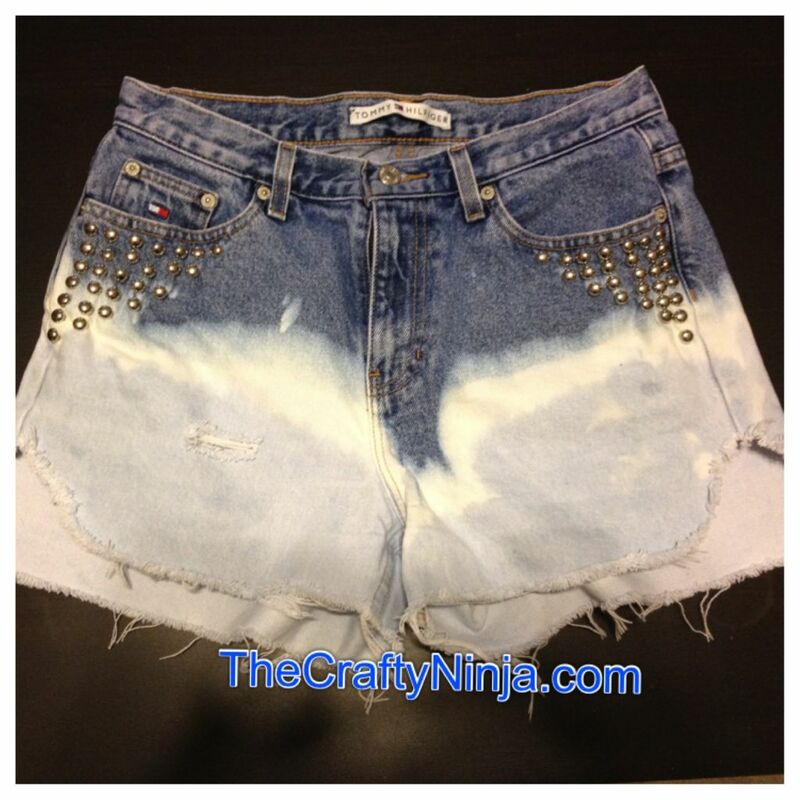 Here’s my tutorial on how to create this look to distressed jeans. To get started I went and picked up some vintage Tommy Hilfiger high waist jeans from Goodwill for only four dollars! 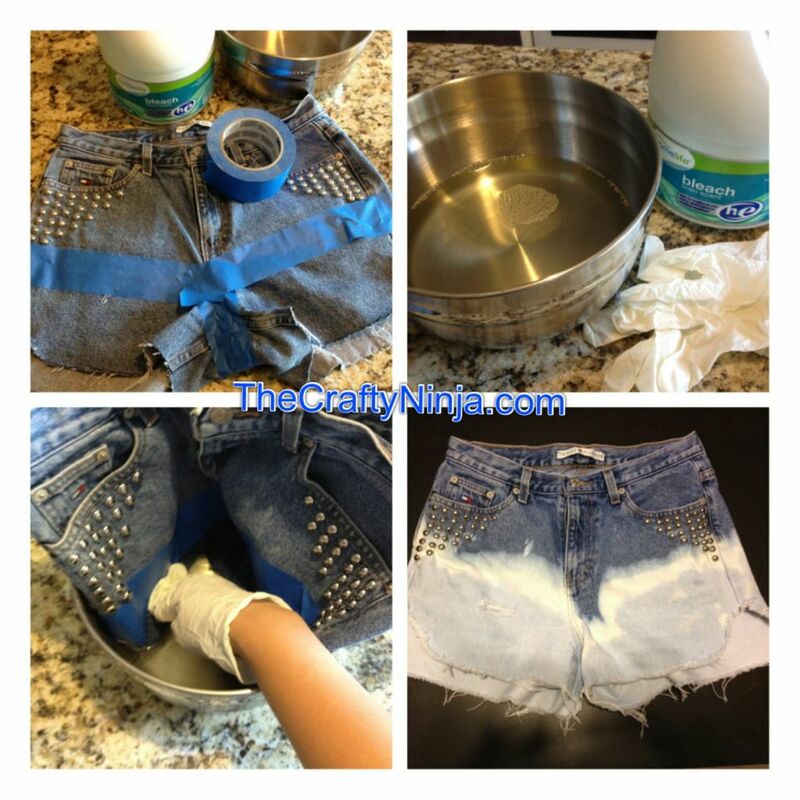 Check out my other DIY Pyramid Studded Fabric Leopard Shorts. Supplies needed: Round Spot Studs, Bone Folder (or a metal blunt knife), Jeans, Bleach, Large Bowl, Sharpie Marker, Blue Painters Tape, Latex Gloves, and Singer Fabric Scissors. On the front of the jeans with a sharpie marker draw out where you will cut, I added a curve one the sides. Be sure to measure 1 1/2 inches longer because once you wash the jeans it will shrink. Only cut the front with the Singer Fabric Scissors because the back will have to be cut 1/2 inches longer. Next to distress the jeans take tweezers and start pulling at the ends to fray. 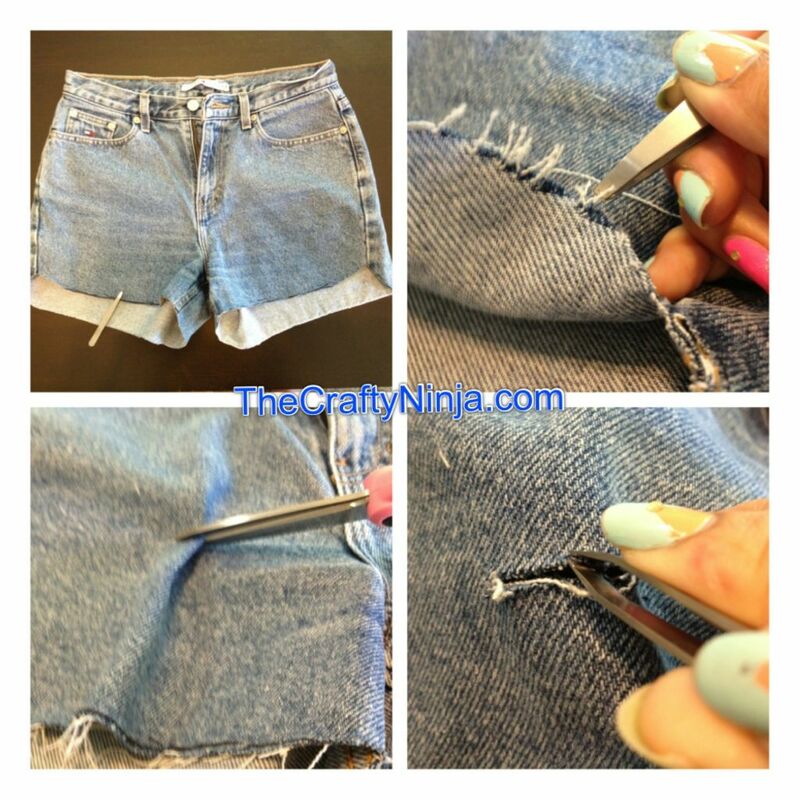 To make a distressed hole, cut a small slit and again start pulling with tweezers. Too add the round studs it is fairly easy. On the back their are two “teeth” that you have to push through the jeans pretty hard. Then with a Bone Folder (or a metal blunt knife), fold the two ends down to clamp. 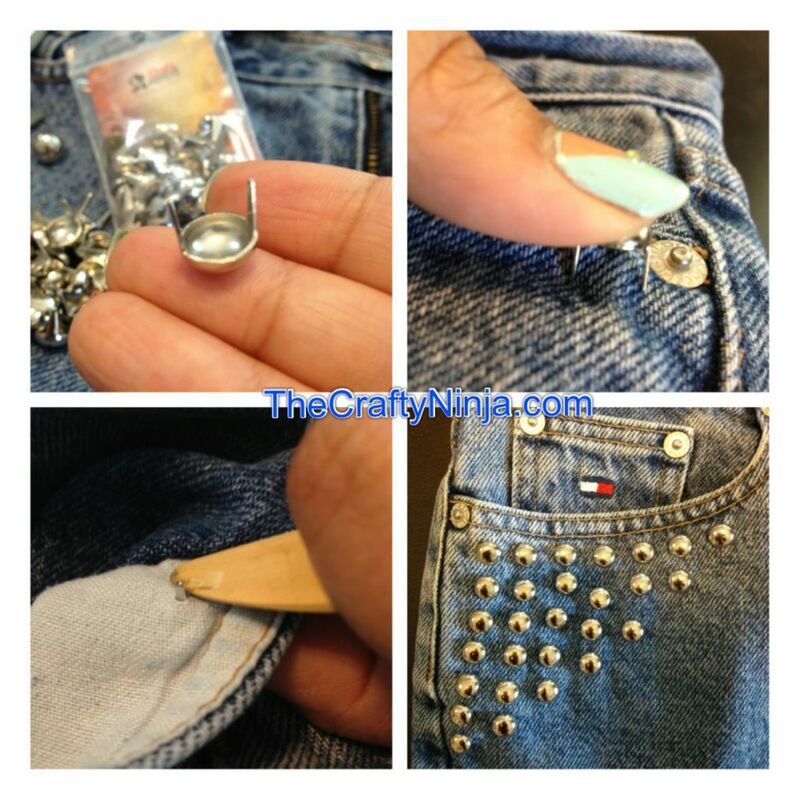 I did seven round studs down and seven round studs across on both sides under the jean pockets. To create the Ombre look I first taped off the area I wanted to bleach with Blue Painters Tape. You don’t have to add the tape I just did to try to get an even line. Pour the bleach in a large bowl, I used a stainless steel mixing bowl. Using latex gloves I submerged the bottom area into the bleach and carefully dipped it in. Leave for 30 minutes and be sure to check them because the bleach will start rise upwards pass the taped area. When you get the desired look put into the sink and rise with cold water, then throw it into the washing machine. (steps not shown) Viola you have your every own distressed ombre jeans! Check out my outfit of the day with these jeans on my fashion section here.